Is it mandatory to wear uniform to the ballet class ? Yes , every student in the class has to wear a ballet uniform. Do you provide uniform ? No , you will have to buy the uniform. Where do we have to buy the uniform ? You can buy the uniform from Fitness & Fairies , G2, Casa Capital, Ground Floor, 17, Wood Street, Near Karnataka Bank, Ashok Nagar, Bengaluru, Karnataka 560025. Tel: 08025557875. Monday closed. You can also purchase online from www.fitnessandfairies.com. Do you have academic holidays ? What is the minimum age to start ballet ? A child should be of 4yrs old to start ballet class. What other classes do you have for children other than ballet ? We have Junior Jazz class for the children for the age group of 7yrs – 14yrs. Can an adult start the ballet without any prior experience ? Yes , adults beginners ballet classes are held for the students who don’t have any prior experience. What other classes do you have for adults ? Jazz dance is a style of theatrical dance performed to jazz or popular music. There are many styles of jazz, including street jazz, lyrical jazz, and styles developed by choreographers and teachers such as Matt Mattox. Callanetics is a non-aerobic form of stretching and strengthening exercise that emphasizes detail and anatomical precision. It is appropriate for all ages and levels of fitness as the exercises are modified individually. What are the benefits of learning ballet ? How do I get the updates about your organisation ? How to become a ballet teacher ? In order to become a qualified ballet teacher (ISTD), a student must reach and pass the ISTD Intermediate exam, and then pass the Associate teaching certification. Both exams are taken externally, assessed by examiners under the ISTD. How many Grades are there in ballet ? In the ISTD Imperial ballet there is Pre primary , Primary , Grade 1 to 6, and Vocational (pre-professional) levels, Intermediate foundation , Intermediate , Advanced one , Advanced two. What is the duration of the diploma course ? The diploma course will be 3 years long. Does ballet improve physical postures ? Yes , ballet improves the physical postures & improves skeletal alignment. How are your students moved from one level to another ? 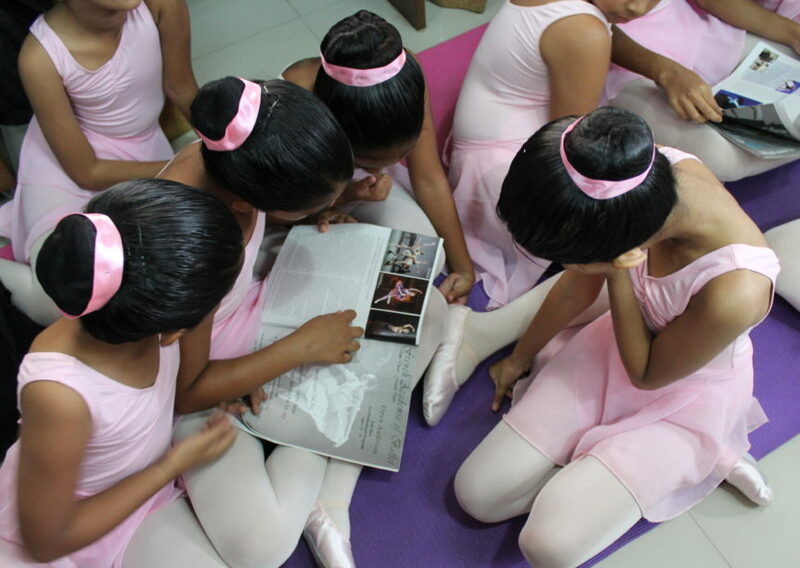 Students are moved from one level of ballet to the next by assessments or by taking the ISTD exam. How do I know how my child is progressing well in the class ? You can request a meeting with the teacher or send an e-mail to admin@tlfcb.org ,We are always happy to give feedback. How do i keep myself updated about the classes once I join ? Each class has a whatsapp group where someone from our team will regularly provide updates & important notices.